Paleo Food List > Are Salad Turnips Paleo? Salad turnips are just a variety of turnips that tend to grow in the spring and early summer. If you’re interested in growing your own, they’re among the easiest vegetables to grow (along with radishes). When you think of turnips, you probably think of the long white tubers that most people roast or sautée. Those are related to salad turnips, but salad turnips tend to be rounder and sweeter. You can sautée them with a little butter and garlic, or you can just eat them raw. They’re great by themselves and in salads (hence the name). The leaves are also a great way to get your greens in. They’re a little sweet, so they don’t require any cooking. 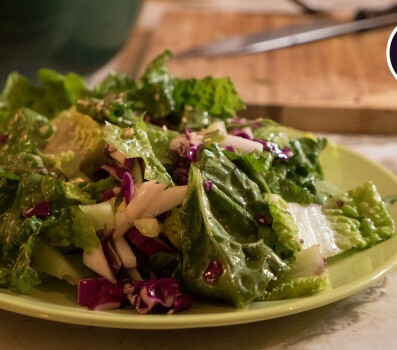 You can make a salad with your salad turnips and your salad turnip greens (source)! Salad turnips taste a little bit like radishes, without some of the harshness radishes have. They also have a lot of the same nutrients, including vitamin C, potassium, fiber, and various B vitamins, so they definitely qualify as a nutrient-dense food (source)!